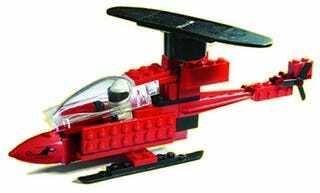 We must tend to our Lego contingent, who will be intensely interested in this Lego Solar Powered Helicopter just released by the company in kit form. $45 gets you all the pieces you need to put together this blade-twirling, energy-saving piece of artificiality that looks a little bit like an actual helicopter. But not much. But hey, it's Lego. Teach your kids to save energy but never mind that landfill, where the pieces of this Lego toy will wile away the hours for another couple of thousand years.